"I remember the exact time and place I was that evening I got the call to say something terrible had happened"
For years I'd been dreaming of doing what I loved rather what I had to, starting this company was a massive leap of faith from the career I had previously and as with any business it was tough but when you have the support of a community of like minded people, the long days are worth it. Always making a nuisance of myself at race tracks at every opportunity I could, I met Henry Hope-Frost for the first time in 2015. We hit it off immediately, he engaged with such passion for what I was doing and then went on to say he wanted to give me some "Fever". Having never heard this term before I flinched, stepped back and said 'mate I don't bat for the other side' - to which he hurriedly tried to explain what he meant. The relief on my face was evident. We then spent the whole of that afternoon talking about what he loved and what I dreamt of doing, it was almost as if I'd known the guy for years. We had an instant respect for each other and knew right there and then that we needed to work together in some capacity. 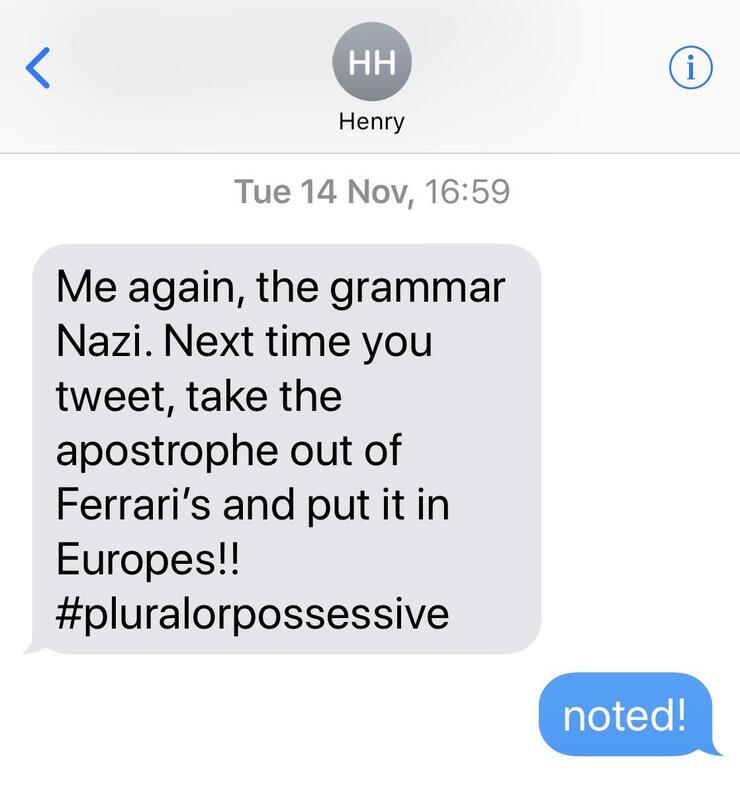 So it was after that afternoon at Goodwood that Henry firstly became an ambassador of the brand, then more so a friend where I could just pick up the phone to and ask him mundane questions like correcting my grammar for tweets or moaning about what the F1 was doing the previous Sunday or discussing people we detested! 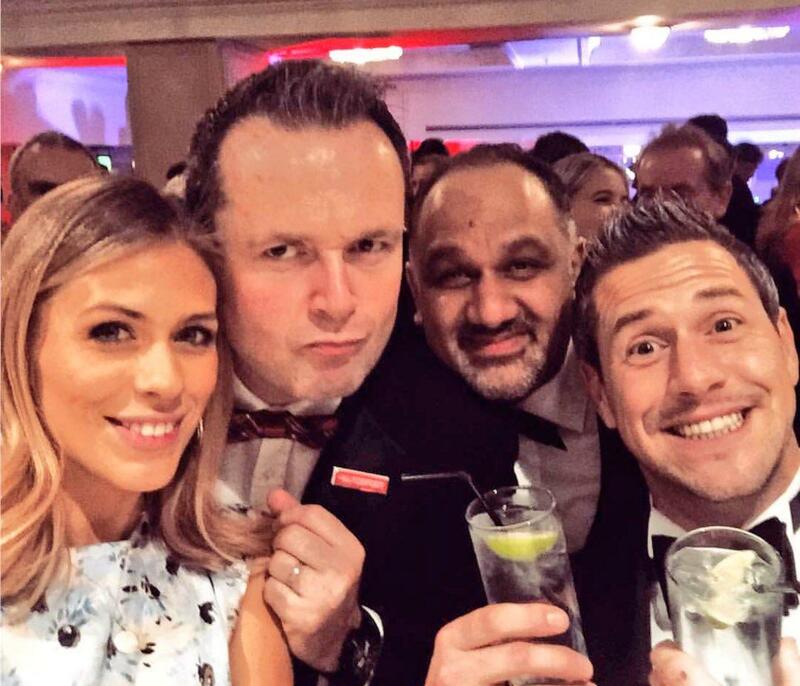 In December 2016 we went to the Autosport Awards together where he was interviewing the great race drivers and stars of the motorsport world all evening and every time he had a break he'd come over to my table for a little light conversation, then go away and get serious again. As soon as his job was done out came the gin and tonics! Only one mind you, as we are both lightweights. That was a lovely evening and I was flattered that he was asking me questions about some racers that he didn't know much about. Not often I knew more than him but when on the odd occasion I educated him, I felt euphoric! Over time Henry would send me pictures of where he was and importantly to both of us, what watch he was wearing. He was a massive fan of the Can-Am® - couldn't wait to get a hold of one as he loved the subject matter so much. Since he got one he wore it to most events from October 2017 such as Autosport. I have that actual watch in my office. It'll never leave my sight. 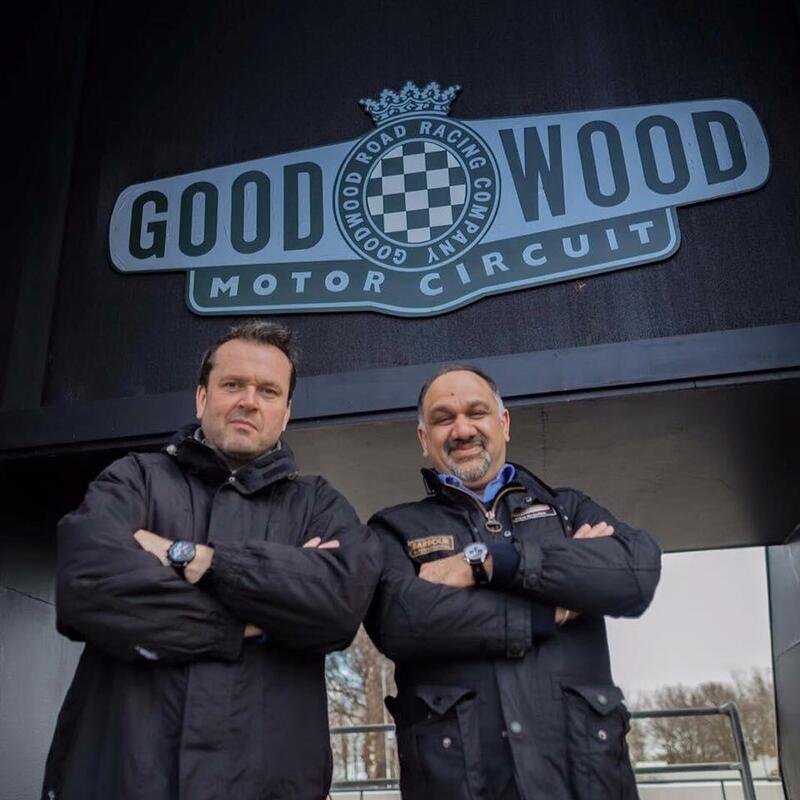 Henry and I then started working on our #ChronosAndCars events where he would do what he always did well and host it. 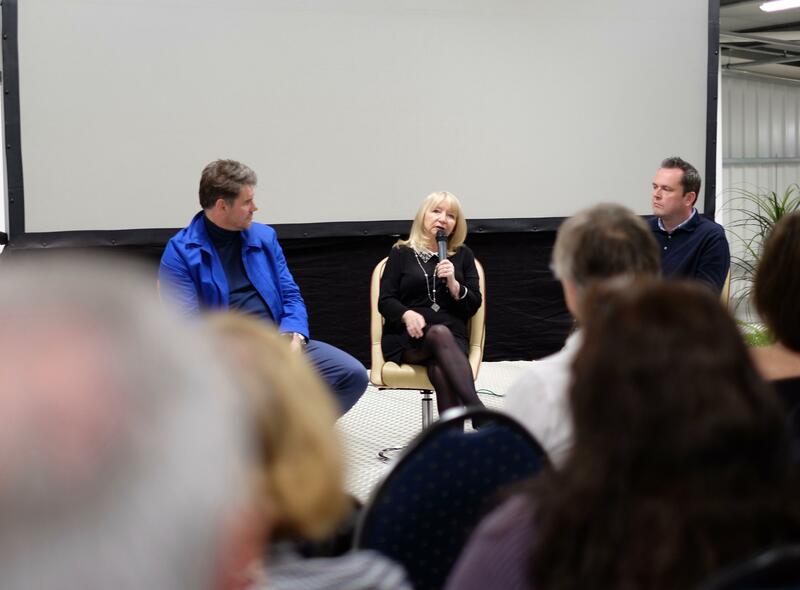 One that we did last November was the Ferrari - Race to Immortality event where we had the pleasure of both the Director and Producer of the movie join us for a Q & A session. In the run up to screening the movie a few days earlier I asked him if he watched so he could get the questions ready. 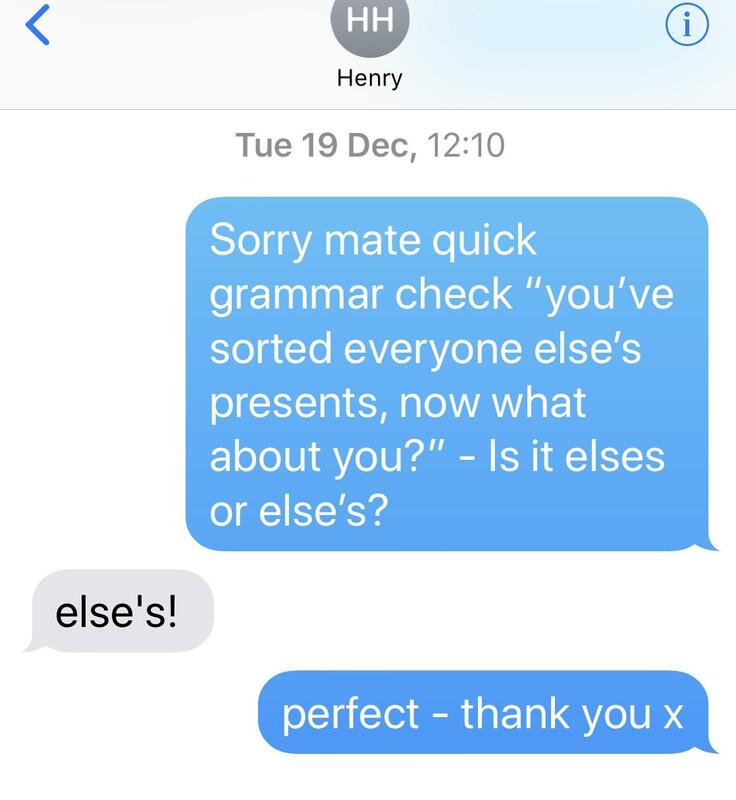 His reply was "No mate, I want to watch it with everyone else on the day and let questions come out of the emotion of having watched it for the first time". This summed up the authenticity and professionalism of the guy. On the day he stood up in front of over 150 people and you could see he was visibly moved by this great piece of film. His Q&A session was so real it moved me to near tears. He did that to me a lot. 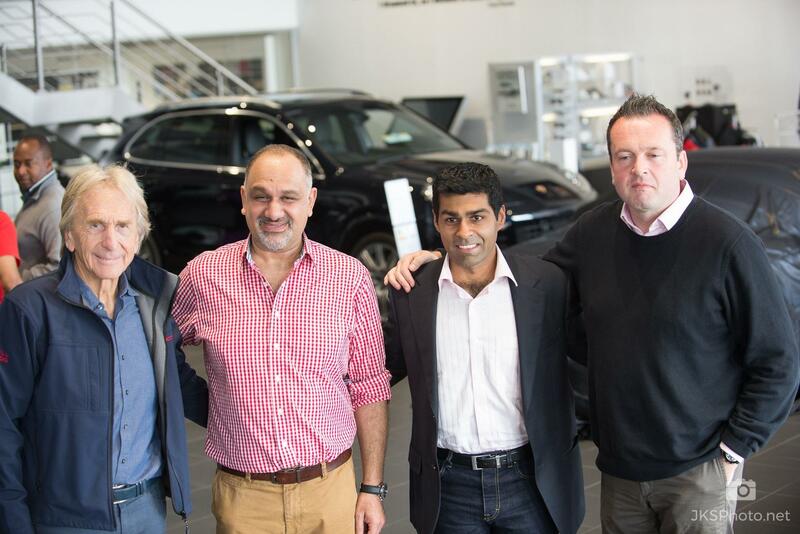 Henry again did #ChronosAndCars with Derek Bell MBE and Karun Chandhok with Porsche Retail Group in Reading another great morning and success. We had plans to do many more this year and next including one in South Africa in December. March 8th 10am - today was a day that I had dreamt of most of my adult life. I love motorsport and was picking up the car of my dreams. I texted Henry and told him what I was doing, he then jovially sent me a text back saying "you picking up that tarts car this morning?" 4pm - Picked up my new car, a very emotional time for me. Not everyday my dreams become a reality. 8.26pm - Rebecca Leppard, my PR lady called me on my mobile whilst I was out with my daughter Freya showing off my new acquisition. I was on the corner of Frances Road and Alexander Road in Windsor, waiting to pull out of a junction. "Shami there has been a terrible accident...." The rest is a blur. I went in to shock and had to pull over. I asked Rebecca again to repeat what she said. She did and I still didn't understand what she said. Somehow I drove back home about a mile away but I don't remember anything from that point on for the next few hours. The outpouring of grief the next day when the news broke out to the general public was endearing. I sat at my desk sobbing most of the day and couldn't think about work. I couldn't stop thinking of Charlotte and the 3 boys. It was an easy decision to make - all the money we did make that day would go to Henry's family. 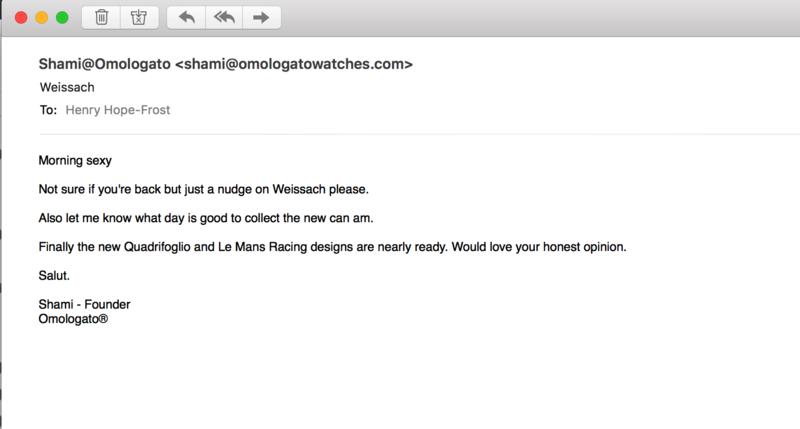 What Omologato customers did that day with spending money still brings a tear to my eye. The community spirit you all showed was and still is one of the most memorable things to happen to me. I will never forget how you all rallied around. I still miss Henry every day and still can't believe what's happened. His memorial is at Goodwood soon, it'll be tough. Rest in #FEVER my friend. Some of our private messages!